Imaging In Italy - photo tours Florence and Tuscany: morning, afternoon, full-day, twilight, multi-day and portrait tours to suit your schedule and needs. Learn how to make stunning photos with an expert guide and professional photographer. There are few places on earth as beautiful and captivating than Tuscany’s Chianti wine country. We’ll visit some of the region’s most iconic spots and while photography is the primary goal, this tour will be a cultural journey that will inspire and enrich all of your senses. You’ll see and photography iconic architecture, rich and textured landscapes, charming hillside villages, famous cathedrals adorned with some of Italy’s most enduring Renaissance art, and of course, delicious food and wine. Prices starting at 600 Euros for one-day tour. Fees are per tour, not per person. 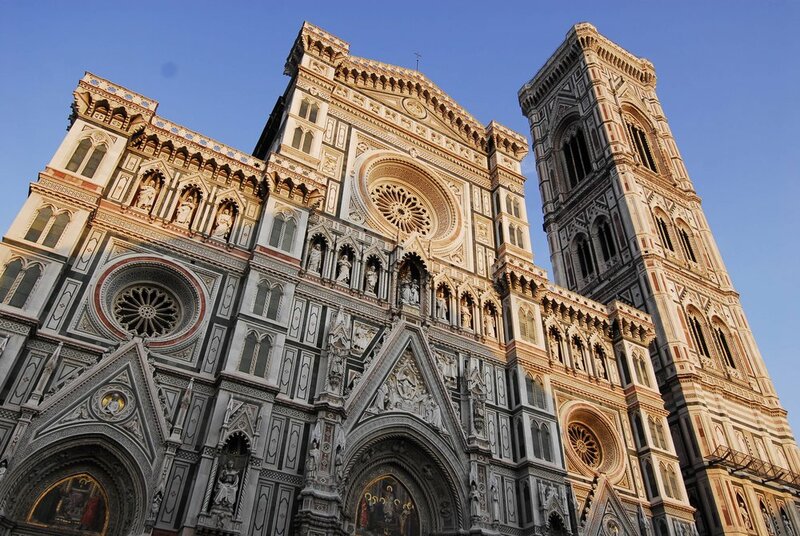 The Tuscan light of Florence is ideal for capturing the beauty and magnificence of the city of the great artists and architects of the Renaissance. You will see and photograph iconic sites such as the Duomo Cathedral, Ponte Vecchio, San Lorenzo, the Doors of Paradise, the Boboli & Bardini Gardens, Ponte alle Grazie, San Niccolò, Piazzale Michelangelo with panoramic views of the city. The Chianti wine region is famous not only for its wine, but also for its rich and textured landscapes, charming hillside villages, famous cathedrals adorned with some of Italy’s most enduring Renaissance art. Major points along the way are Greve, San Gersole’, Mezzomonte, Impruneta, Strada in Chianti, Chiocchio, Montefioralle, Panzano in Chiant, Lucarelli Pieve Santa Maria Novella, Radda in Chianti, Gaiole in Chianti, and Vertine. Extend your tour to a third day and you will visit hidden hill-top towns in the Val D'Orcia region farther south of Florence such as Siena, Buonconvento, Montalcino, San Quirico D'Orcia, Bagno Vignoni, Pienza and Montepulciano and more. These three days will be unforgettable and offer an extraordinary visual, cultural, and culinary experience. If you choose to combine Day 1 + Day 2 the fee would be 1725 Euros. No hotel is required. You would begin and end the tour in Florence. If you choose to combine Day 2 + Day 3 the fee will be 2300 Euros - Hotel and meals for your group and the guide is additional. If you choose to combine all three days, the fee is 2900 Euros. Transportation is included in the price. Hotel and meals for your group and the guide is additional. These prices are valid year-round for groups of 4 or fewer persons. Prices include tour fee, guide & instruction. Except where otherwise noted, hotel accommodations, tips/gratuities, drinks/food, Air/train tickets to/from Rome for the client are not included in the price. We reserve the right to make changes in the itinerary if circumstances beyond our control occur.